CHECK OUT THE ALL-NEW FOREWORD from Paul Greengrass, director of GREEN ZONE, included in the new special movie tie-in edition of IMPERIAL LIFE IN THE EMERALD CITY, after the jump. Sometime in early September 2004, I began to work on a film set in Iraq. I wanted it to be a thriller—urgent, contemporary, filled with intrigue: A movie that would hopefully take some of the huge audience that had enjoyed the Bourne series to a real-world setting and encourage them to consider whether the mistrust and paranoia that characterized Bourne’s world was so far-fetched after all. My hazy idea was to follow a U.S. soldier through the convoluted and mysterious hunt for Weapons of Mass Destruction. This secret WMD quest, with all its twists and turns, claims and counterclaims, seemed to me to be the epicenter of all our unease—the toxic and unresolved issue that has haunted us ever since 2003. Was the greatest intelligence failure since Pearl Harbor the result of honest, unavoidable miscalculations? Or was it rather the result of intentional distortions by officials bent on justifying a prearranged policy? I felt that if we could create a noble character—a military everyman—who entered Iraq at the start of the war believing WMD were there, and then followed him on his just cause as he begins by degrees to realize that the prewar intelligence claims are entirely unfounded, we would have the basis for a compelling journey. He would stand for all of us, and his hunt for the truth would be ours. Sadly, the path toward a film is rarely straight and even. More often it is strewn with rocks, and even, on occasion, impassable. So it proved. For months I tried to find ways to develop the story, but always I hit a dead end. The story seemed to lack focus. It needed something else, but I was unable to find it. Then, out of the blue, Robert Bookman from CAA—a man with an almost preternatural instinct for literary material of the highest quality—sent me a new book about Iraq by the former Baghdad correspondent of The Washington Post. I had read many, many books about the war, and if anything I was beginning to feel almost despondent about the entire project. But this, he told me, was something special. 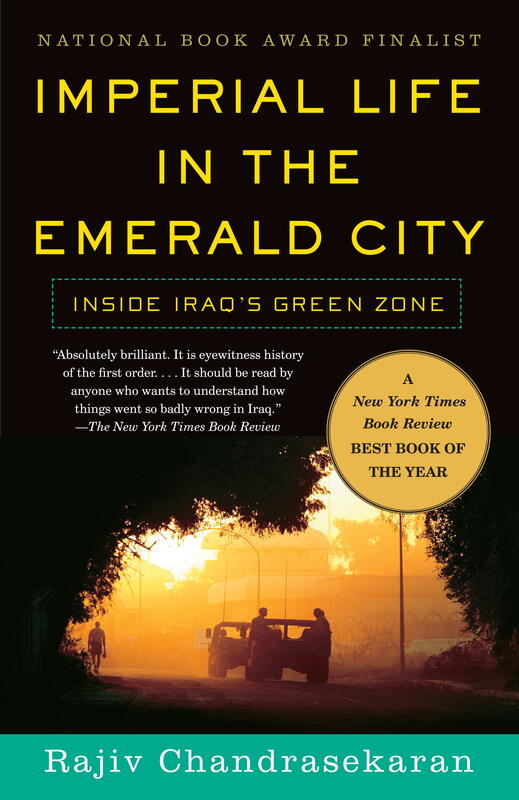 It was called Imperial Life in the Emerald City: Inside the Green Zone. I devoured the book in a single sitting. At a stroke Rajiv Chandrasekaran brought me into the very heart of the occupation, tracking with devastating power the intense idealism that drove a generation of young and highly politicized U.S. officials to conduct an unprecedented experiment with democracy in the heart of a war-torn and devastated Iraq, a nation on its knees after thirty years of dictatorship. Those who led this effort from the top articulated grandiose visions of the mission in Baghdad—it was an opportunity to build a democratic “shining city on the hill” in the Arab world; the new Iraq would become an inspiration and drive political change throughout the entire Middle East. But these visions, conceived far away in Washington and London, led to wildly unrealistic policies on the ground. And Chandrasekaran’s unerring reporter’s eye and instinct for understatement, pitilessly exposes the chasm between the two. I knew as soon as I had finished Imperial Life in the Emerald City that it would unlock our stalled film. It gave us something to aim at. Our hero would leave the desert where the WMD were supposed to have been buried, and make his way to the Green Zone, where U.S. officials were holed up inside Saddam’s palace, engaged in a folly of ignorance and ambition. And there he would find his answers. 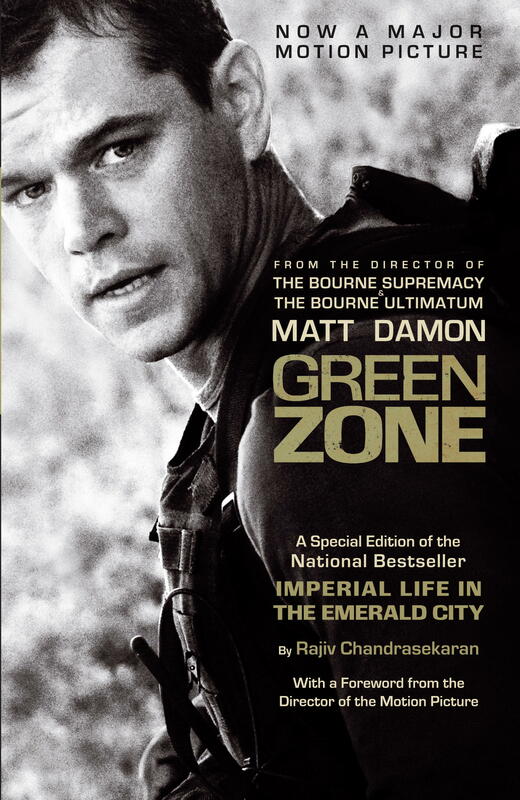 Green Zone—as our movie ended up being titled—is of course not an adaptation of Chandrasekaran’s book. The credit for our story lies with our screenwriter, Brian Helgeland, who labored long and hard to bring it to life. But for all of us involved, Imperial Life in the Emerald City was something of a beacon that guided us in our long journey toward the screen. And for me, it remains one of the most important and sustained pieces of reporting of the new millennium. Read it—and consider the cost paid in blood and treasure for those dreams of democracy in the desert. 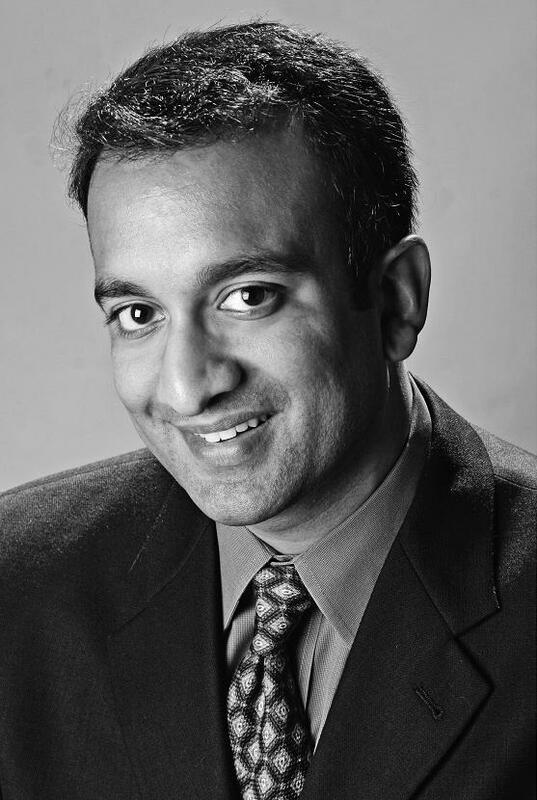 Excerpted from GREEN ZONE, a Special Edition of the National Bestseller IMPERIAL LIFE IN THE EMERALD CITY by Rajiv Chandrasekaran Copyright © 2009 by Rajiv Chandrasekaran. Excerpted by permission of Knopf, a division of Random House, Inc. All rights reserved. No part of this excerpt may be reproduced or reprinted without permission in writing from the publisher. I will be sure to bookmark your blog and definitely will come back later in life.